This integrated process removes the need for any third party enrollment software or hardware to be installed in addition to the AC2000 access control system. Fingerprint validation takes place using a CEM S610f fingerprint validation reader connected directly to an Ethernet network. 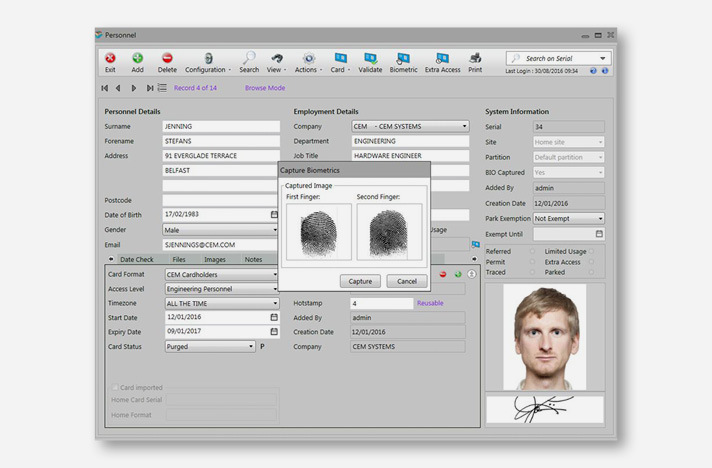 This enables biometric data capture to take place at the same time as other security data capture. The software does not store an actual image of the fingerprint anywhere in the system. 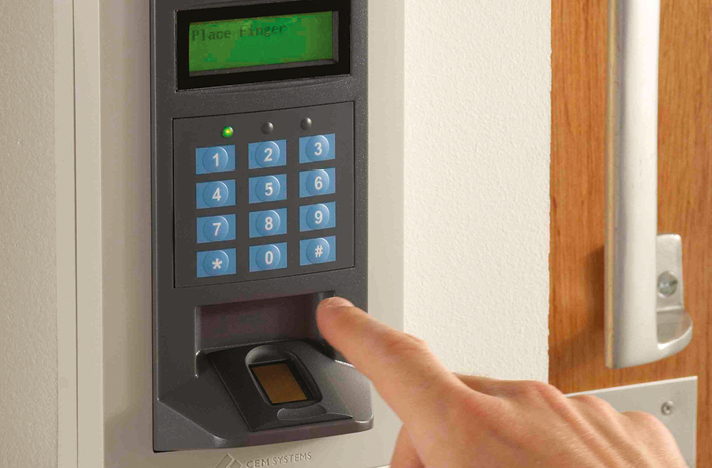 Instead a unique ID number is derived from the minutiae of the fingerprint scan and is stored into both the AC2000 central server database and the S610f fingerprint reader database at the door.